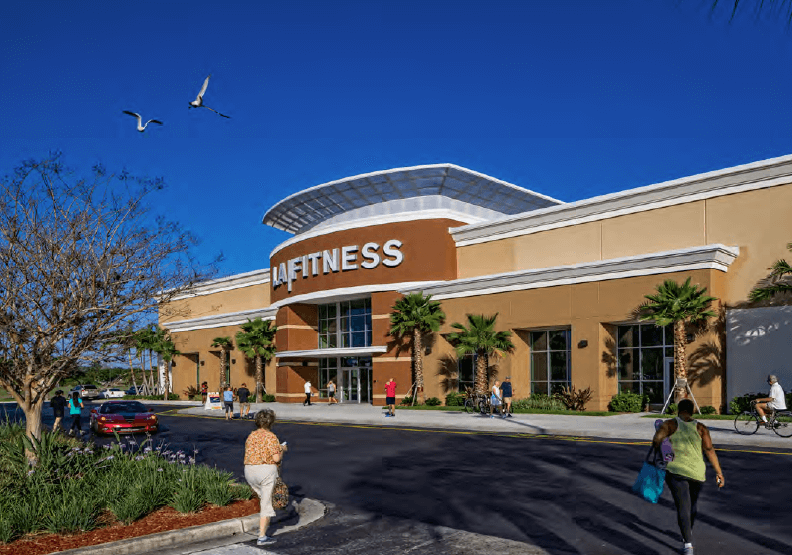 Shoppes at St Lucie West is a 265,000 square foot grocery-anchored retail center located in St Lucie West, FL a mature area within one of Florida’s fastest growing and most promising communities, due north of Palm Beach, Florida. 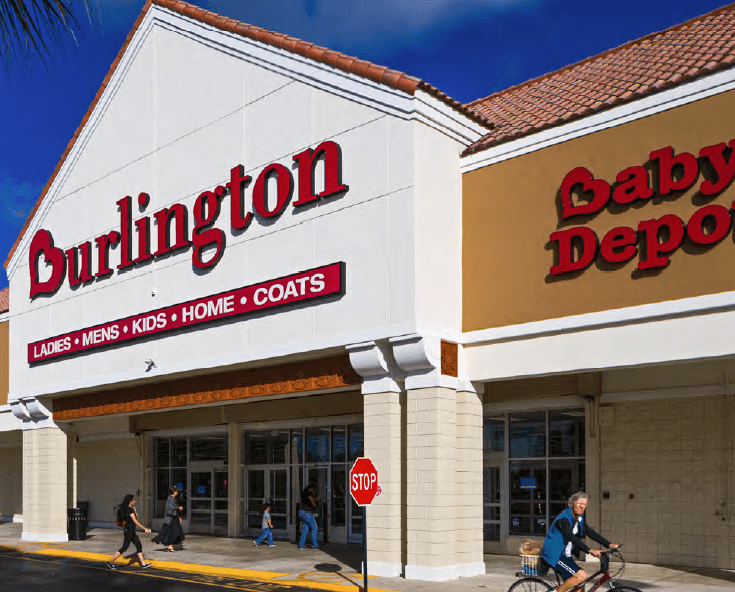 The center is anchored by the #1 Publix between West Palm Beach and Orlando, along with a Burlington, LA Fitness and HomeGoods. The combination of dominant grocery-anchor, leading fitness club, popular retailers with regional appeal makes this an attractive location for businesses and visitors. Forbes has ranked Port St Lucie as one of the top 10 best cities for job growth in 2015-2016. The property is specifically located at the intersection of St. Lucie West Boulevard (the primary commercial thoroughfare in the region) and N.W. Bethany Drive. The center is 2 miles east of I-95 and is within close proximity to Florida’s Turnpike. 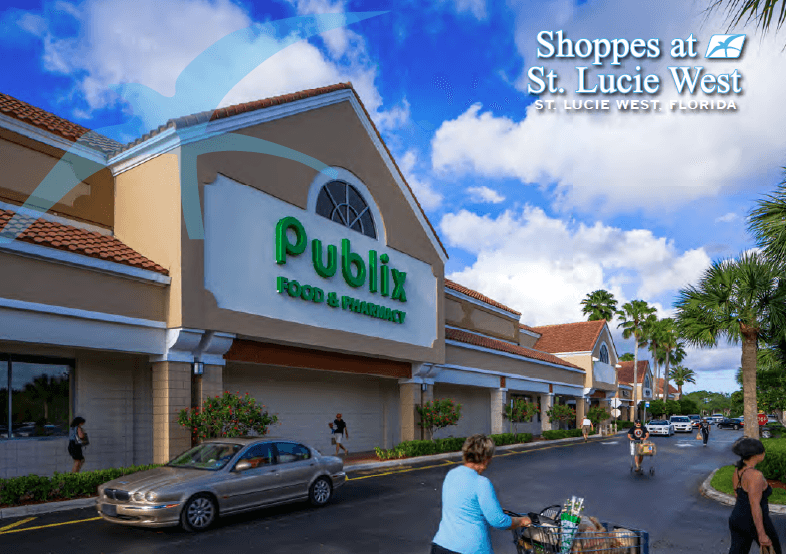 Shoppes at St Lucie West is a 265,000 square foot grocery-anchored retail center located in St Lucie West, FL a mature area within one of Florida’s fastest growing and most promising communities, due north of Palm Beach, Florida.